The Carya String Quartet's season opening concert on August 25th was a rousing success. 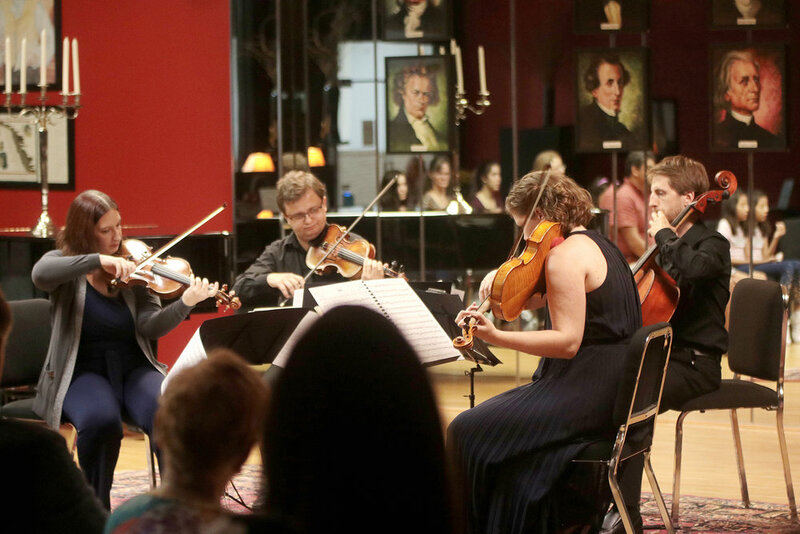 With a packed house at Virtuosi of Houston's Memorial Mall Studio, the quartet performed Hadyn, Smith, and Piazzolla and raised over $1500 towards their inaugural season. All the money raised goes directly to supporting community performances and educational programs. If you would like to donate today to help support the Carya String Quartet's mission, please visit their fiscal sponsorship page through Fresh Arts. There is still much to be done! Thank you to Forest Photography for the wonderful pictures below. 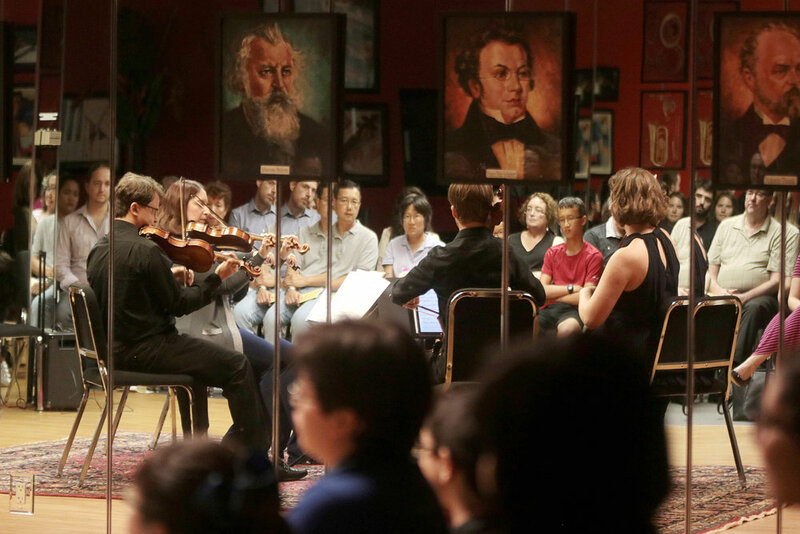 “We are particularly excited about collaborating with Honey Art Cafe because they make art attractive and accessible for the community,” says violinist Eugeniu Cheremoush.